Vlogging - How To Get Good Without Really Trying. Vlogging - It’s possibly one of the ugliest new words in the English Language - but it’s also going to be one of the most used terms of the next couple of years. How do I know? Because of all the things we’re offering clients at the moment, vlogging is flying off the shelves faster than anything else - we are currently teaching a different organisation every week. So do we mean when we say vlog? In its purest form it a shared thought...a discovery or revelation that somebody has had that is communicated direct to the camera and posted on social media. Most under 16 year olds are already getting most of their entertainment and information through a vlog, and as usual, the adults are catching up. So how do you get on the band-wagon - or if you’re already on it. How do you get good at it? Here's 7 tips that we give when teaching people to vlog. If your sole aim for vlogging is to drive traffic to your website I would suggest that you have failed before you start. People only really want to watch vlogs because they are hearing genuine passion about something. The fact that it connects to business is the bonus not the impetus. What makes vlogging fun and easy is that it is just sharing your realisations, things that have inspired you, intrigued you. And it’s because you are talking about something that is new and exciting to you that makes the vlog attractive to others. It’s fresh bread. One of the hardest things to do when vlogging during business hours is to take the risk of being vulnerable on camera and be yourself. For decades now business people have been indoctrinated with the idea that they somehow have to leave their true selves behind and become slick and professional. There are advantages to this I know but what you kill in the process is often the most powerful element of all communication - naturalness. We say we teach vlogging but actually what we really do is unleash naturalness and stick a camera in front of it. Keep it short and simple, focussed and fresh. People often think they need to vlog every week but I would suggest that less is more. Only vlog when you are ready to vlog not because business imperatives suggest you should. Audiences would rather watch two or three really insightful fresh vlogs than a weekly output which is all pretty average. Don’t do it all by yourself - having an editor of some kind who with an objective eye and ear can select the best bits, and cut them simply together, can really help. Even if you’re going ultra simple and filming and publishing straight from a smartphone, a fresh ear on your material will really help. Spread the Word - no-one’s going to simply stumble across your fresh new vlog in the huge YouTube universe - don’t be afraid to share it widely on all your platforms. 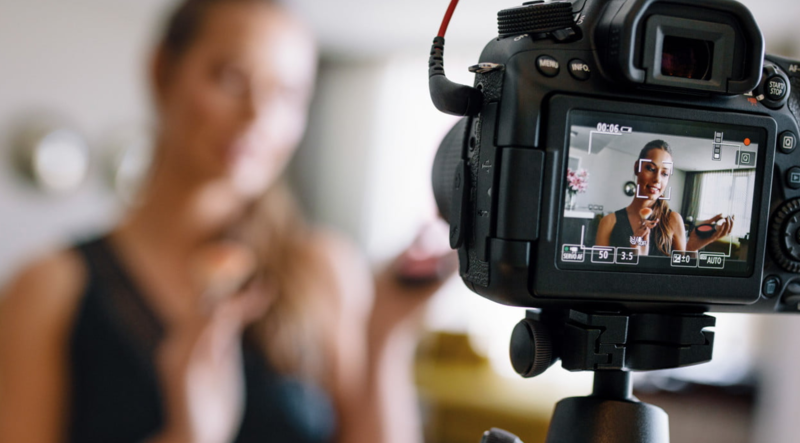 As well as beginning to generate content for their social media, clients have told us that the vlogging workshops have had a lasting impact on their teams - building confidence in presentation skills and identifying who the naturals are in communicating company messages. Said William Pedder from the Institute for Family Business after taking part. If you’d like to get your team vlogging, contact us to book in a workshop.